Hakeem Dawodu has had a difficult time finding Muay Thai bouts. His last MuayThai fight was in Calgary on April the 5th, 2014 with a Unanimous Decision over Thailand’s Sam Samut Dawodu to win a WMC Intercontinental Title. Dawodu has been working on getting a chance to battle in the world’s top promotions, including GLORY and K-1. That news will be coming forth! On January the 24th, former WMC World Light Middleweight Muay Thai Champion Charlie Peters from England will take the challenge and step up to battle the Calgary athlete. Peters is a young fighter with plenty of experience. He formerly held the WMC World Title, before deciding to move down in weight and going after the Welterweight Championship Belt. Both of these athletes have their eyes on the results of winning this bout will hold for the winner. Both athletes possess very exciting styles, are highly skilled and in their primes. Speed, power, determination, guts and skill will determine the outcome of this bout. Do not miss it. 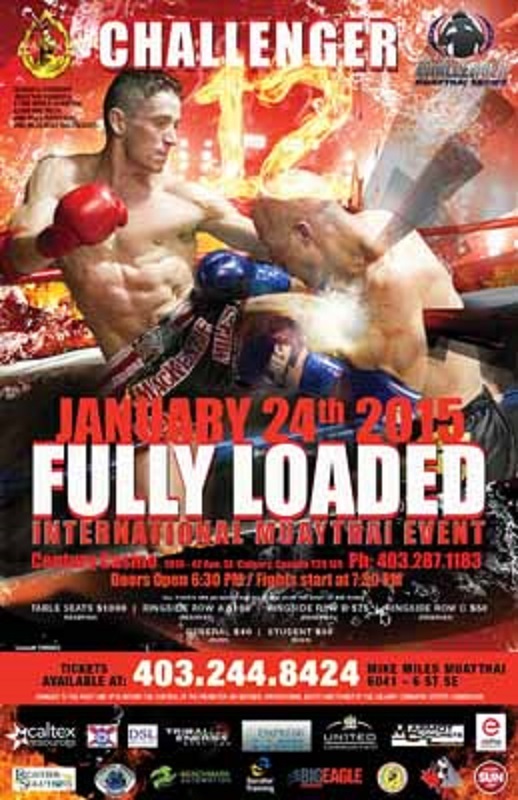 This entry was posted in Events and tagged Ajarn Mike Miles, Calgary, Canada, featured, Muay Thai. Bookmark the permalink.